The Museum of the History of the Olympic Games of antiquity is one of the most important archaeological museums in Greece. It hosts in its collection, artifacts from the sanctuary of Olympian Zeus in Olympia where the ancient Olympic Games were born and hosted. The museum presents the long history of the Olympic Games and hosts findings related to the period when the ancient games took place such as a collection of terracottas, a collection of bronzes, a collection of sculptures and most of all a great collection from the ancient Olympic Games. It also shows a considerable number of findings from other Greek museums which are directly related to the sporting events and athletic activity in antiquity. There are also on display, objects that athletes used in the everyday training as well as pottery and other artifacts which gave us valuable information on the training of the athletes as well as the regulations of individual events and Games. Apart from the ancient artworks, visitors have the chance to enjoy virtual tours to the ancient Olympic Games. This museum just completes the whole visit to Olympia! 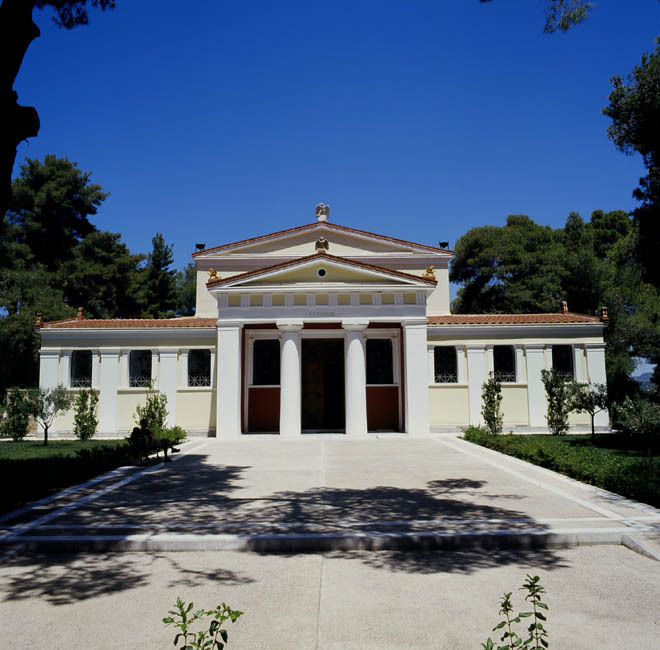 The Museum of the History of the Olympic Games of antiquity is open on Mondays from 10.00am till 17.00pm and Tuesday – Friday from 08.00am till 15.00pm. The Museum remains closed during the weekends.